Renowned British-German sculptor Tony Cragg is in Iran to display his artworks at Tehran Museum of Contemporary Arts (TMoCA) in an exhibition which will be open to visitors from 24 October 2017 to 12 January 2018. After two years of preparation, the first solo exhibition of Tony Cragg will open in Tehran Museum of Contemporary Arts on October 24. 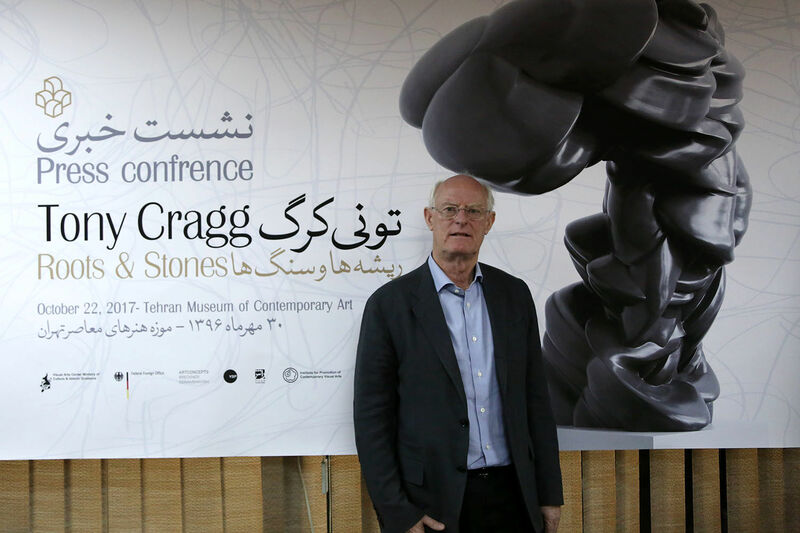 Speaking in a press conference in Tehran on Sunday, Cragg said he is pleased to be in Iran and expressed the hope that he will have a friendly and fruitful cooperation with the TMoCA. He said a total of 60 sculptures and 140 works on paper will be shown in the exhibition, according to a Farsi report by Honar Online. Cragg noted that the oldest work belongs to 1970 and the latest one to early 2017. However, he said he did not intend to put on display a review of his life-time works. “Rather, what matters to me is to display my works in a country whose people know nothing about my art,” he added. The exhibition “Tony Cragg: Roots & Stones” gives an extensive insight into the sculptural and graphic work of the artist living in Wuppertal. Tony Cragg was the first British artist invited to Iran for holding an exhibition of his works: this is a symbol of hope. The exhibition links a connection between the West and Iran beyond diplomatic difficulties. Born in Liverpool in 1949, Tony Cragg is one of the most important contemporary sculptors. His sculptural oeuvre, in the early years of his career, takes up the impulses from his exploration of the English land art and the performance art, and is still convincing today by an immense wealth of surprising inventions and constellations. Cragg’s works are characterized by tireless research on the possibilities of form, material and surface design. For Cragg, the future is the search for the ideal combination of material and form. As different as Cragg’s works appear at first glance, one still feels an inner kinship. The visitor is surprised by a universe with abstract, representational and figurative motifs. In addition, work on paper is exhibited, documenting the emergence processes from the shaping to the realization of the sculptures. The TMoCA has the largest collection of contemporary art outside Europe and the USA. It gives an extensive overview of laminated, molded, milled and polished sculptures made of wood, glass, steel, bronze, plastic and ceramics. Opened in 1977, TMoCA is widely recognized as one of the most important museums of contemporary art. The Iranian architect Kamran Diba has built an extensive building on a 7,000 m² site, which is surrounded by a magnificent sculpture garden with works by famous artists such as Henry Moore, Alberto Giacometti, Max Ernst and Parviz Tanavoli. The opening of the exhibition will include a work by Tony Cragg: a marble sculpture created especially for the TMoCa will be presented to the public for the first time on October 24, and will then be displayed within the range of the two Henrymore sculptures. 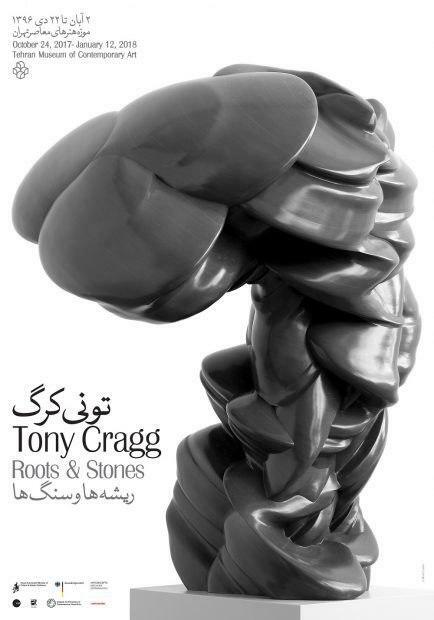 The exhibition of Tony Cragg’s workds is the fifth exhibition project of Galerie Breckner in Iran. Since 2011, Till Breckner and Afshin Derambakhsh have been initiating international exhibition projects in Iran to support the understanding of cultures. The mainstay is a close cooperation with the TMoCA based on mutual trust. The focus of the exhibitions is always on art, as it allows the society to be informed about topics that are not in the focus of the public. After successful projects such as Günther Uecker – Injuries, Connections (2012), Otto Piene – Rainbow (2015) or Günther Uecker – Homage to Hafez (2016), the Gallery Breckner team is particularly pleased with the upcoming exhibition in Iran with Tony Cragg, according to its official website.